There comes a time in almost everyone’s life when they pause to tackle that eternal question - who am I, and where am I from? For centuries, the quest for answers has sparked art, literature, and all types of soul-searching in countless people. In the past few years it’s given rise to a booming industry in home DNA testing kits, helping people finally put together the pieces of their puzzle. These tests are affordable, easy to perform and can provide priceless insights into your genetic makeup and the regions your ancestors wandered and settled thousands of years before you were born. AncestryDNA and 23andMe are both highly popular and fascinating DNA testing kits that are at the forefront of the industry. 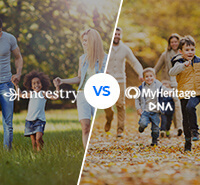 In this article, we match the two head-to-head to see which is the better roadmap for you to solve the mysteries of your family history. 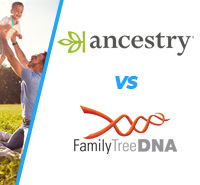 AncestryDNA is the DNA home testing branch of Ancestry.com, the largest and most popular genealogy website in the world. With AncestryDNA, you can take advantage of the company’s database, which includes more than 6 million users and over 17 billion searchable records. AncestryDNA harnesses these resources to create one of the most affordable and reliable DNA testing kits on the market. The service can trace your lineage through 350 unique geographic regions worldwide, and is affordable and very easy to use. 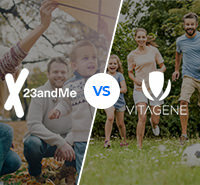 23andMe is a DNA home testing company that brings a number of interesting offerings to the table. The name refers to the 23 pairs of chromosomes in your DNA, indicating how much of a focus the company puts on science and lab work. With a 23andMe test you can map your DNA based on more than 150 regions across the world and you can find out which DNA “families” your ancestors belonged to, and trace them both on your paternal and maternal lines. And though it might not have crossed your mind before, you can also find out how much Neanderthal DNA you inherited. In addition, the service can help you connect with people who share DNA with you. 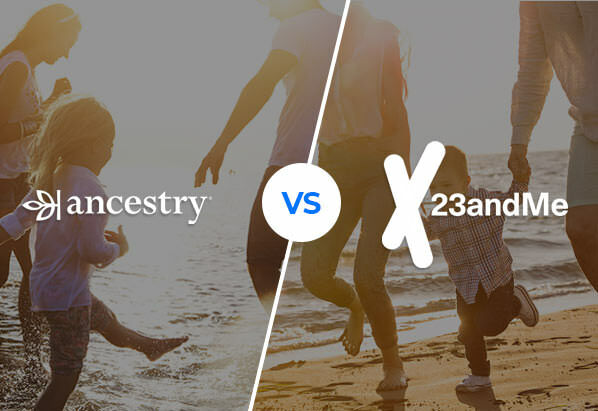 Both AncestryDNA and 23andMe have built up big names in the industry, but what do they offer? AncestryDNA is run by Ancestry.com, the world’s premiere genealogy research tool, so with your DNA kit you can also opt for a membership to Ancestry historical records, so that you can dig deep into your family history. With AncestryDNA, you receive an extensive breakdown of your family tree and how the roots and branches formed over as many as 350+ regions around the world. These 350 regions range from vast areas such as eastern Europe to regions of countries or even places as specific as individual cities in Ireland or counties in Norway. The breakdown doesn’t stop there though. AncestryDNA will also provide you with “migration stories” which give you a historic breakdown of the migration routes your ancestors took over the thousands of years before you were born. 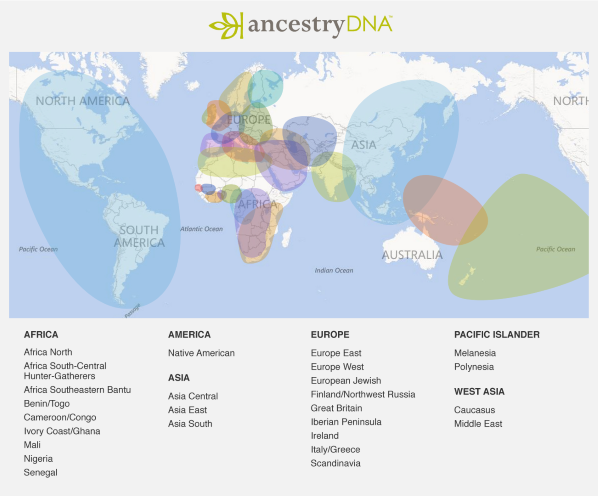 AncestryDNA can use this map and other aspects of your DNA test results to provide you with “new ancestor stories” - a tool which can help you potentially find unknown relatives. In addition, AncestryDNA’s “shared ancestor hints” and “genetic communities” can help you map out the intricate web that is your genetic history, and with it’s massive user database, there may be a greater likelihood that you could be paired up with a genetic match you never knew existed. With 23andMe, the package goes beyond just ancestry, giving you insight into your personal health and what you can expect down the road. With a combined health and ancestry test you receive a genetic health risk report, which includes an assessment of your odds of getting Celiac disease, late-onset Alzheimer's, Parkinson’s disease, and more. The test also comes with dozens of reports covering cystic fibrosis, sickle cell anemia, hereditary hearing loss, and more. With the included wellness reports, you can look at issues such as lactose intolerance and obesity, while with the traits reports, you can gauge such things as whether or not a sweet tooth runs in your family line, and if you may develop a bald spot down the line. Adding in the health test brings the price up to $199 ($159 when on sale), but what do you get with the standard ancestry test? 23andMe puts a wealth of scientific know-how to work in the lab, in order to really get into the details about your background. The tests can match your ancestry to over 150 regions across the globe by looking both at your maternal and paternal DNA. the results are then put on a timeline, where you can see at which approximate year different ancestries came into your DNA. 23andMe can also match your DNA to other users who may share some of your DNA, even if they’re 7th cousins or more distant. You can even use the service to connect with and message those people. And while you may never have considered it, 23andMe can also tell you how much of your DNA is derived from Neanderthals and how it compares to the general population. This was a close one. Both companies provide extensive DNA analysis that can track your ancestry across the world over thousands of years - with AncestryDNA offering to map it according to more than 350 regions worldwide. That said, 23andMe includes both matrilineal and patrilineal testing, as well as the option to purchase a health screening kit. And while the tests may have features that the average user isn’t interested in - such as Neanderthal DNA - if we’re looking at just the sheer volume of offerings, 23andMe has a deeper toolkit. AncestryDNA’s autosomal DNA test runs just $99 and a current deal brings the price down to $69. Shipping costs $9.95, but only $4.95 for each additional kit. You can also pay $24.95 for expedited shipping on the first kit, and $12.95 for each additional kit. If you’d like, you can also pay $19.99 per month to gain access to Ancestry’s genealogy records, which it states include more than 17 billion searchable historical records. With access to international records thrown in, the price climbs to $34.99. 23andMe more or less mirrors AncestryDNA when it comes to the price of the test - $99. Shipping and handling is $9.95 for standard or $36.95 for expedited shipping. There is no discount on shipping for additional kits. Adding in the health screening brings the price up to $199 or $159 with special online discounts. The AncestryDNA autosomal test costs basically the same as 23andMe’s test (which checks both matrilineal and patrilineal DNA) but the company provides much better prices when it comes to shipping. In addition, while you can get a health screening thrown in for $199 or less, most people researching their genealogy are interested specifically in family history and tracing their roots. With this in mind, a user can get a DNA home testing kit and access to Ancestry’s historical records for around $100, a deal that’s tough to beat. Performing a home DNA test is about as easy as can be. With both AncestryDNA and 23andMe the sample is provided by saliva, meaning that you spit in a small collection tube which you then mail back to the company in a postage paid envelope. AncestryDNA states that you should receive your package within a few days of ordering and then you ship it in and can expect to receive your results within 6-8 weeks after the lab receives it. With 23andMe the timetable is basically the same, though it's easier to track the results online. Rather than being sent in the mail or by email, your results are posted on the 23andMe site, and you can access them with your password. Though the timetable is basically the same, we liked the way that 23andMe adds that extra layer of security with the results. In addition, due to the fact that AncestryDNA has more customers, you may be more likely to run into delays as the company works through the DNA sample backlog. You will see 4 stages on a bar at the top - activated, arrived, processing, and done. This will let you know the status of your sample. Once the testing has finished, your results are posted and you can easily explore your ethnic background and check out the locations, history, and cultures in your bloodline. The test results are very easy to navigate and provide you with all types of information about your ancestry, as well as the people whose DNA matches yours to some extent. With 23andMe there are multiple ways to look at what your genes say about you. You will receive very extensive results and educational tutorials to walk you through them. With the ancestry composition report you can see which ethnicities your DNA holds, and how much is from your mother’s side and your father’s side. You can also look at how your results compare to other people with your genetic brackground.In addition, you can see how your genetics relate to all types of physical traits - for instance what percentage of people with your genetic background have the same eye color as you. If you’ve opted for the health test, you can also receive a wealth of information that the site can walk you through very easily. Both sites provide you with online tutorials to understand your results, but we found the AncestryDNA results to be easy to follow and less crowded. 23andMe provided a wealth of information, but it may be more than what most users are looking for. The data collected by 23andMe in their database is quite impressive. Since the company was founded in 2006, more than 5,000,000 customers have used the DNA tests, and of these, around 80% have opted to let their results be used in company research. This data has since been used in hundreds of studies. As an industry leader, AncestryDNA has built up a database to be envied, surpassing more than 5,000,000 customers by August of last year. With both companies, users can be put in contact with other users who match them genetically to one extent or another, potentially giving you the ability to find long-lost relatives you never knew you had. This was another close one. Both companies have very large amounts of data that have been collected over the years. We gave the edge to AncestryDNA though, just because the database is larger, and as a more popular testing company, it can be expected to grow at a faster rate than 23andMe. 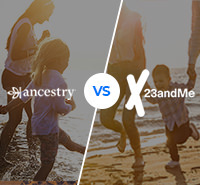 Both AncestryDNA and 23andMe are companies that provide a great product for customers who are looking to learn about themselves, their history, and just how they became who (or what) they are today. 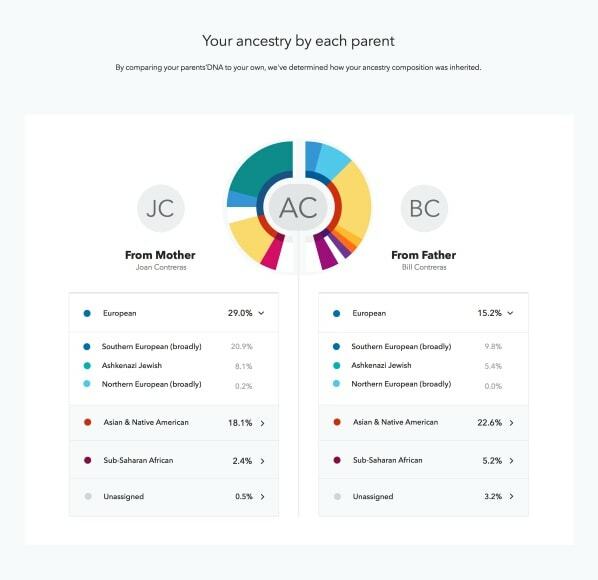 And while 23andMe has more extensive features and tests for all types of health issues (for a price), and things as unique as Neanderthal DNA, we found that AncestryDNA is a stronger, more straightforward option for what most customers are looking for - information about their ethnic background and where they came from. In addition, the company’s larger database, better pricing, and access to extensive historical records, for a small fee, were all important factors in our decision.